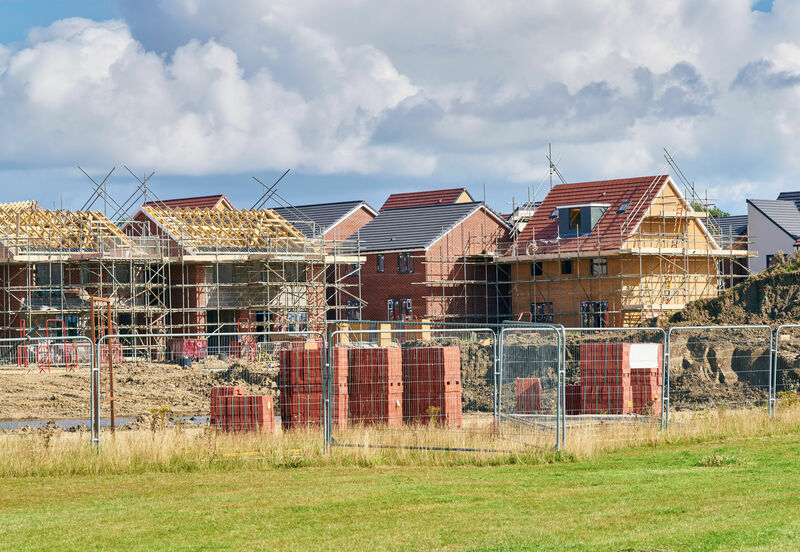 The UK government are continuing its drive to significantly boost housing development by providing affordable housing across the country and it’s a topic that appears to be consistently debated and discussed. There’s a requirement to provide positive initiatives and efficient processes so the sector can deliver the number of homes that Brits can effectively pay for. This is where LPG energy is proving to be an attractive asset. Here, we’ll look at how LPG is assisting the provision of affordable housing for UK buyers and why it’s crucial that our sector and government is fully on board if we are to hit the targets to meet housing demands. What is the current state of affordable housing in the UK? Research and data into housing in the UK has shown that there are certainly several issues which need addressing. By the end of 2017, a government initiative to build 200,000 discounted homes to first-time buyers hadn’t produced a single home, according to a report by the Independent. Currently, there is also conflict between the government and local councils regarding affordable housing in the UK. In a bid to boost availability, the government has claimed that councils which don’t build enough new homes will lose the right to determine the location of subsequent new houses. This ruling is part of a planning policy framework which details regulations regarding the number of homes that each council must construct — which considers localised aspects of an area including local house costs and average wages. Essentially, if a location has a particularly high level of unaffordability, that council will need to build a greater number of new, affordable homes. Studies have suggested that four million homes aren’t connected to the UK’s mains gas grid. According to the Non Gas Map — which was a collaboration between the Department for Business, Energy and Industrial Strategy — the reliance on the mains grid is hugely varied throughout the UK. Certain locations, including northern Scotland and central Wales, show less dependence on being connected to the main network, while regions such as the north east of England and the Home Counties have a greater percentage of homes which are reliant on energy provided by mains gas. A major concern in placing housing projects in rural areas is whether there’ll be a sufficient delivery of energy, both during the development and for the subsequent homeowners. However, the data above shows that there is an opportunity to construct homes in areas that aren’t connected to the mains network, granted that an equally-efficient alternative is implemented in its place. But how will this encourage affordable housing growth? LPG may offer those in affordable housing development the chance to ease the pressure of building in inner cities and instead opt for open, rural spaces where there is greater space and opportunity. Currently, a small number of major commercial developers create the majority of the UK’s housing. By using LPG as an easy alternative to main network connection, we can widen the number of locations where a housing project can take place. Consequently, more small- and mid-size companies should have a greater chance of securing a plot for development in the sector and we may see a growth in affordable housing as a result. There are a host of advantages thanks to LPG when it comes to affordable housing. One is that gas bottles, cylinders and tanks make the energy an easy source to transport and is easy to store during the construction process. Keeping production costs as low as possible is a key part to any business as no company wants to exceed their budget. However, the ease of supplying and stockpiling LPG may help developers keep a track of energy costs and ensure that mains grid issues, such as power cuts, won’t affect productivity — another costly side-effect. It’s well-known that there’s a nationwide drive towards green practices and reducing the UK’s carbon footprints. Industries such as construction and housing often mean it’s easy to adopt less environmentally friendly products and practices. However, as the government strives to achieve its target of lowering carbon emissions by at least 80% of 1990 levels by 2050, the demand to bring these down will only grow. Not hitting these targets could cost companies in the form of taxes and penalties. Fortunately, LPG is quite a clean form of energy, releasing less carbon dioxide than oil does and 70% of the carbon dioxide that coals emits. With tax relief offered to energy-efficient businesses, it’s helpful to be as eco-friendly as possible. If developers of affordable housing choose to utilise LPG, this could also work towards greater numbers of affordable housing projects. Evidently, there is a big opportunity for affordable housing if developers decide to take advantage of LPG and all it has to offer. With demand increasing and only a few practical initiatives to ease the strain, such as garden villages, it seems as if they sector needs all the help it can get. Contact us today if you require any information regarding your any queries you may have.